This year’s edition of Stamford Yacht Club’s Vineyard Race started on Friday, August 29. First run in 1932, this Labor Day weekend classic attracts the best sailors and fastest boats from around the region, and its intricacies and challenges bring them back time after time. Racers can choose to sail one of three courses. The 238-nautical mile Vineyard Course starts off Shippan Point in Stamford, CT heads east through Long Island Sound and through the swirling currents of the Race or Plum Gut, past Block Island and around the Buzzards Bay light tower. On the return leg, boats leave Block Island to starboard en route to the finish in Stamford Harbor. 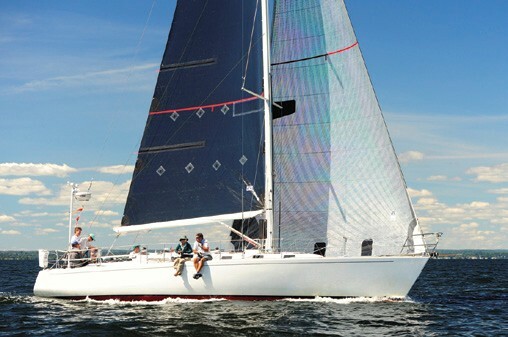 The 143-nm Seaflower Course and 116-nm Cornfield Point Course are sailed entirely within Long Island Sound. Winners of the Vineyard Race usually attribute their success to local knowledge of these tricky waters and a good deal of luck. (Bridgeport, CT), Mike Hennessy’s Dragon (New York, NY), Jeff MacFarlane’s jeffreymacfarlane.com (Franklin Lakes, NJ), and Pleiad Racing, finished first, second, third and fourth respectively on corrected time in PHRF 7. With a class win in the Vineyard Race, another victory in the 2014 Newport Bermuda Race and a top finish in the Storm Trysail Club’s Block Island Race, HL DeVore’s J/44 Honahlee (Larchmont, NY) captured the Northern Ocean Racing Trophy. The American Yacht Club Junior Big Boat Team, led by Peter Becker, sailed their J/105 Patriot (Rye, NY) to a repeat victory in the Corinthian Challenge, a division for youth and collegiate sailors. James and Macrae Sykes’ Santa Crus 52 Bombardino (New York, NY) was victorious in IRC Class 15, Heidi & Steve Benjamin’s HPR Carkeek 40 SPOOKIE Norwalk, CT) topped IRC 16, and Hewitt Gaynor’s J/120 Mireille (Southport, CT) won the IRC Double-Handed division. Other PHRF class winners include Jeff Wilson’s Sabre 42 CB Tacktile (Southport, CT; Class 8), Steve Cain’s Beneteau 36.7 Shooting Star (Larchmont, NY; Class 10), James Fischer’s First 51 Riley (Montegomery, NY; Class 11), and Michael Gavin’s Archimbault A40RC Respite (Westport, CT; Class 13). 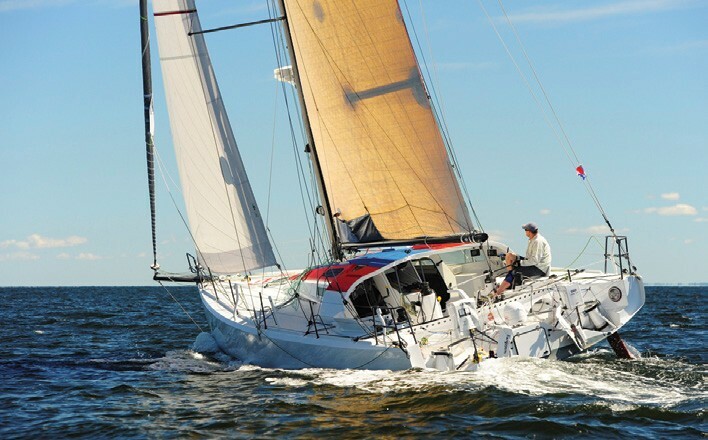 The 3-boat Multihull class was won by Steven Gross’ Chris White Explorer 44 trimaran Falcor (Scotch Plains, NJ). 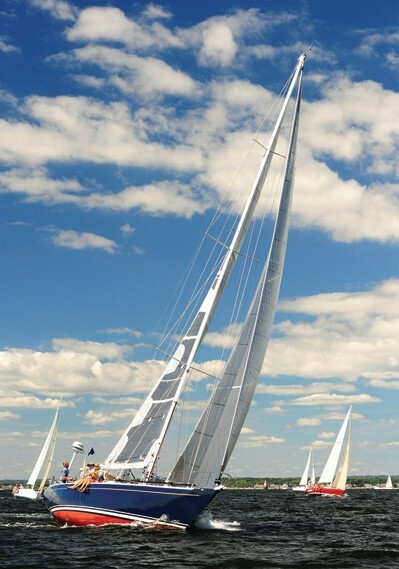 On the Cornfield Point Course, Austin Royle’s Tartan 41 Pegasus (Wilton, CT) was victorious in PHRF Class 2. The winners on the Seaflower Course are Michael Shea’s McCurdy & Rhodes 46 Coup d’Etat (Farmington, CT) in PHRF 3 (Non-Spinnaker), Todd Aven’s J/92 Thin Man (Brooklyn, NY), and Dave Otterbein’s Tripp 37 Breakaway (Stony Point, NY), sailed by the Sacred Heart University Keelboat Team (see page 50).